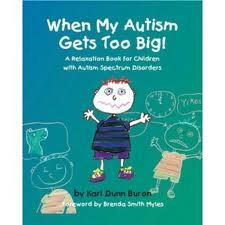 When My Autism Gets Too Big by Kari Dunn Buron and Brenda Smith Myles. This books gives young children an opportunity to explore with parents or teachers their own feelings as they react to events in their daily lives while learning some useful relaxation techniques. Children who use the simple strategies presented in this book will find themselves relaxed and ready to work or play. Pp. 20. This entry was posted in Books for Children, Our Library and tagged Autism Spectrum Disorder, books, books for children, life skills. Bookmark the permalink.